The best would be if I could make the main volume to the full space available, but if it's too difficult it would be enough to have that 500Gb as a separate volume as it was. Your free space is before the container, not after it. In order to expand it, you need free physical space after the container. You could try using a live CD (such as GNU Parted) to physically relocate the blocks of the APFS container to start at 409640, but this is perilous and should not be done without a backup. Not the answer you're looking for? 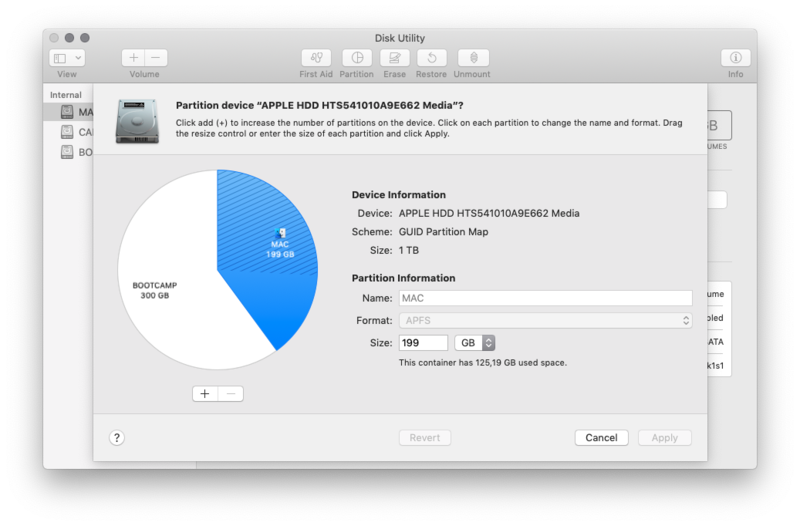 Browse other questions tagged macos partition mojave apfs .